Mom Knows Best : Do You Want Coffee Delivered To Your House? Most people can't start their morning without a cup or two of coffee. We need that delicious brown drink to wake up. How would you like a cup of coffee delivered to your house every day? That would be awesome for most people. I would love to wake up and have a cup of coffee, made the way I like it, delivered to my house.Well, that ain't going to happen. 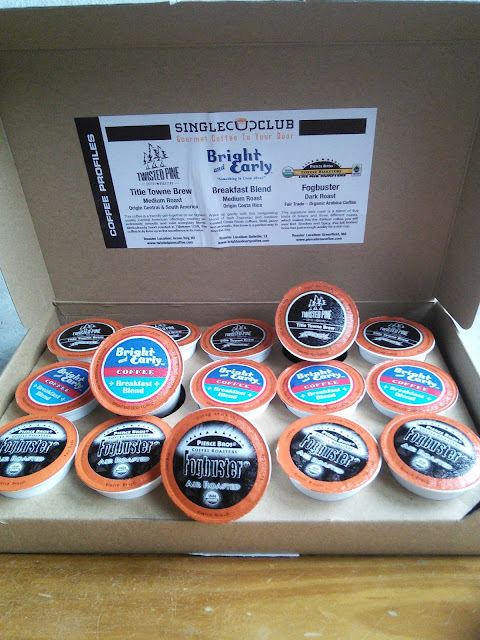 I guess you can have the next best thing, a box of delicious coffee K-cups delivered to your house so you can make some yummy coffee. When you get coffee delivered you have no need to go to a coffee shop. That will save you big bucks! 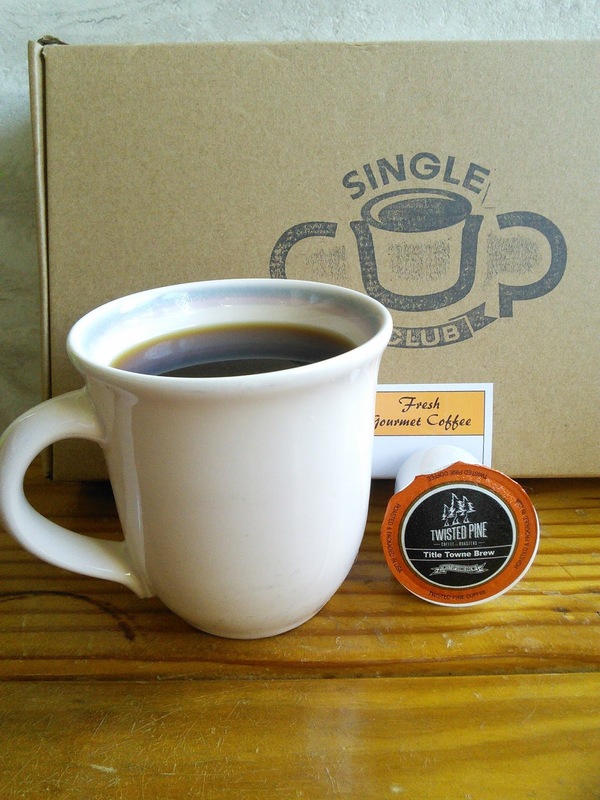 Single Cup Club is like having your own "guy" in the coffee world. Each month, a box of artisan coffees is shipped right to your door for just $19. You'll experience three small batch roasted coffees with each month's box in the convenience of Keurig-compatible single-serve cups. 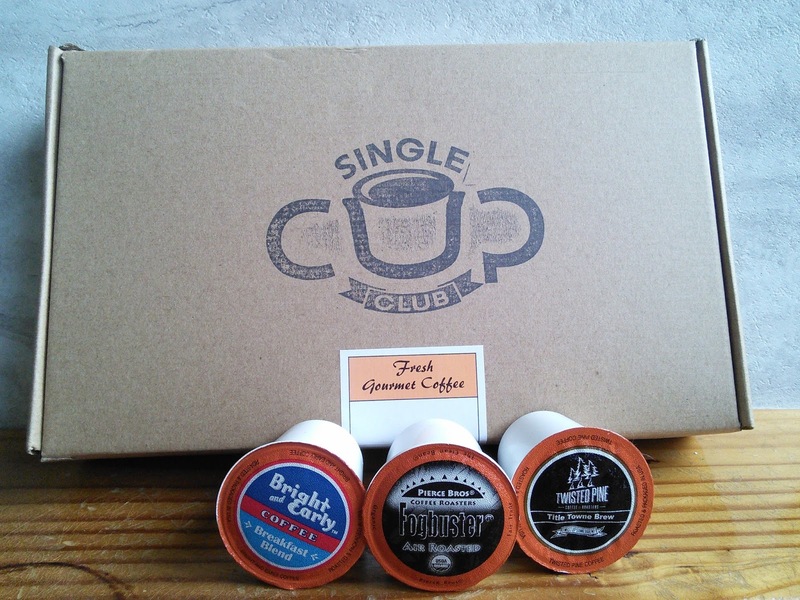 It's the perfect box for the coffee lover in your life, especially if that coffee lover is you! I received a box of fresh gourmet coffee the other day. 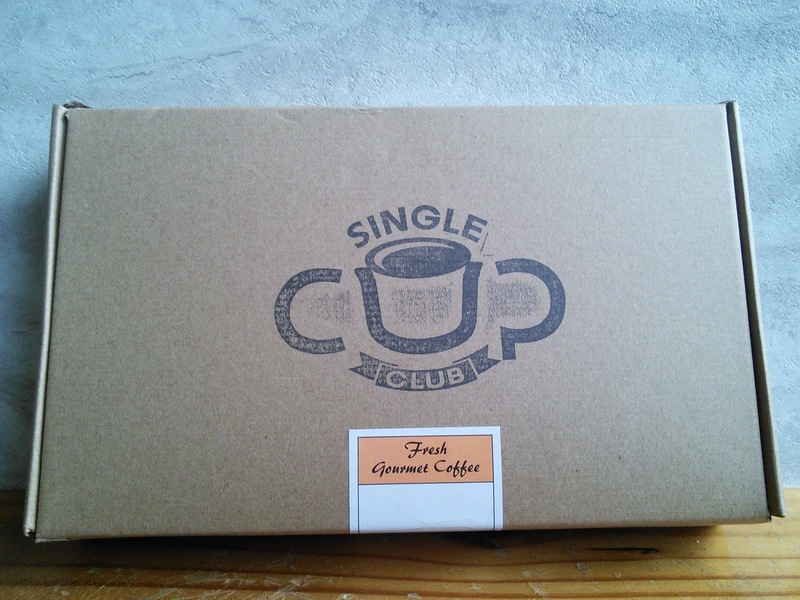 This box contained three different varieties of small batch roasted coffees in the convenience of single serve cups I loved that the box also had descriptions of the coffee. I just had to make a cup of coffee right away. I had a hard time deciding which one to try first. The Twisted Pine was the one I chose to sample first. This coffee was a medium roast blend from Central America. It is described as a smooth and mild blend. This single serve cup made a wonderful cup of coffee that had a nice smooth taste to it. This coffee taste so much better than that stuff in a can and the stuff I get at the coffee house. The price is so much better too, about $1.25 a cup. Try getting a cup of coffee for that price. My wonderful box had enough coffee to brew 15 cups of coffee. Why only 15? Don't they know there are 30 days in a month? The other two coffees in the box were called Fogbuster and Breakfast blend. The Breakfast blend is from Costa Rica and is described as a bold, jazzy and aromatic blend. The Fogbuster is a Fair Trade organic Arabica coffee that is a blend of five kinds of beans and three different roasts. This full body coffee is described as smokey and spicy. I am enjoying this one as I write and it has a wonderful delicious taste. This box of delicious fresh gourmet coffee also makes for great gifts. There are many different plans to choose from. I selected the three-month plan, so that means for three months I will get a box of wonderfully roasted coffee delivered once a month. Every month will bring new varieties of coffee to my house. My mailman may be stalked as I try to patiently wait for my coffee. 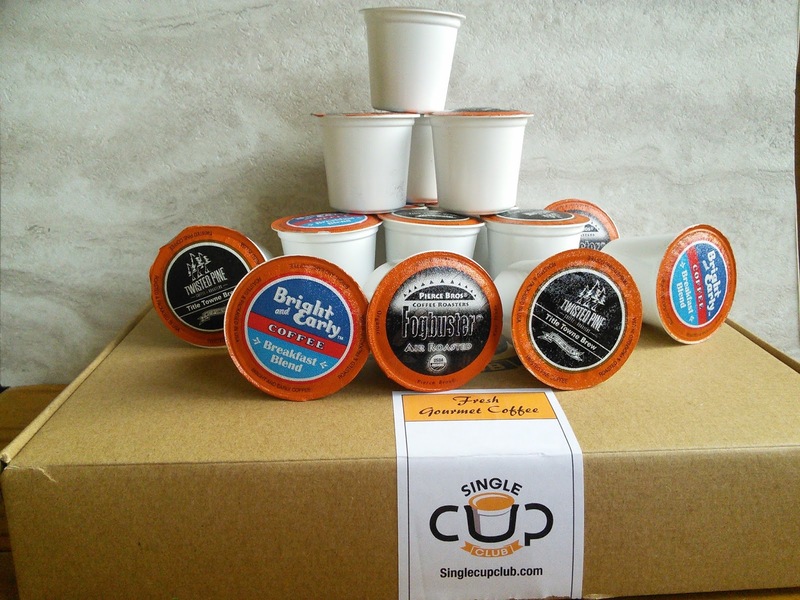 Check out how you can get a box of fresh gourmet coffee delivered to your house. "These opinions are my own and I received a three month coffee plan in exchange for a review." I would LOVE this. I am a major coffee addict, to this is heaven to me. I'm such a coffeeholic, I definitely need to check this out. I drink it from sun up to well after sun down. Thanks for the heads up. I love things like this!! There are so many times that you buy a whole box of the same and don't really like it. Services like this let you try different things than you normally would! YUM! I haven't drunk coffee in over 15 years. I know people who do and this would be the ideal gift. I still use a drip pot, but have been thking about getting a pod system. Not sure if I will, though. I do love my coffee though! Perfect gift for coffee lovers! I love the idea that it's delivered to your home too! Awesome. Well I am not a coffee drinker, I have never even had a cup. Most of my friends are coffee drinkers, i will share this page with them. Sadly I can only have decaf coffee as I am unable to have caffeine but a great service. Yes, I'd love to have coffee delivered to me. I drink coffee everyday so this would be perfect! Yes, I will love that! My day always starts with a cup of coffee. I love to brew my own coffee, Its part of my morning success routine, so I probably would find it wierd having it delivered to me...ye ton those days when I just cant be bothered this could prolly fill the spot! I would love to have coffee delivered direct to my door! My husband and I avid coffee drinkers and would definitely enjoy this! Yes! I'd love to have my coffee delivered! I try to watch how many subscriptions I have, but this one may be worth adding.